I've been to London several times over the years and always loved it over there. Last October my wife Celeste and I spent a wonderful week at the gorgeous Corinthia Hotel as well as managed to see 6 London West End Theatre shows and a soccer match. On our next visit we plan on seeing Motown the Musical, a show that I really enjoyed the first time that I saw it playing at the Lunt-Fontanne Theatre a few years ago. Motown the Musical began playing in London's Shaftesbury Theatre this past February 11, 2016 and theatergoers from around the world are loving it. Loving it so much that Motown the Musical in London tickets are on sale through February 18, 2017. Motown The Musical in London tells the audience the true story behind the "Motown beat". The Motown sound managed to reach out across racial divides and touch the lives of millions of people around the world. After borrowing a small amount of money (under $900.00) or so, a former featherweight boxer turned recording artist and music producer by the name of Berry Gordy Jr., became the founder of Motown. Berry Gordy Jr. is credited with making stars out of Diana Ross and The Supremes, Michael Jackson and The Jackson Five, The Temptations, Smokey Robinson, Marvin Gaye, Stevie Wonder so many others. The cast in Motown the Musical is incredible for sure. Every moment is like being at a concert celebrating music and dance of the era. Several cast members have got lots of Broadway experience too. I believe I just counted more than 50 songs that will be performed in the show. I'm sure many Applause Ticket News readers can fondly recall the songs "I Heard It Through The Grapevine", "Dancing In The Streets", "My Girl", "Ain't No Mountain High Enough", and you're sure to know most of the words to these songs when you hear them. 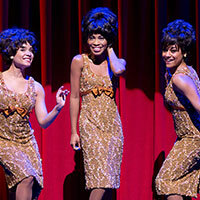 Motown the Musical will be referred to as a "jukebox musical of the 1950's and 1960's. Nothing wrong with that right? With concert-like performances, you will be singing and dancing at your seats. Applause-Tickets has an extensive inventory of fantastic seat locations for Motown the Musical tickets in London should you be considering purchasing tickets for this show. We hope you'll consider calling Applause-Tickets for Motown the Musical London tickets or one of the other terrific London Shows playing year round. Applause-Tickets can be reached 24/7 at 212-307-7050 or 800-451-9930. 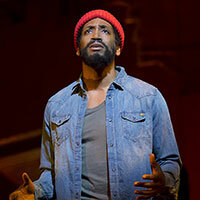 I hope you found this article on Motown the Musical London tickets helpful. Cheers.